← How Much Reality are we Ready For? No, the people I worry about catching mosquito diseases like EEE and West Nile Virus are my kids. All the reports I’ve read say that kids and elderly people are most vulnerable to these illnesses, and most of the elderly people I know don’t enjoy running around in wooded areas at night. Or even if they do, they resist the temptation. But kids? No way. Now I understand the desire to feel free, especially on beautiful summer evenings. As a kid, I was outdoors almost every night during peak bug-feasting hours, and never caught a darn thing. But as everyone knows, parents are different now. There’s so much more information available to us, giving us so many more reasons to worry. And I worry about it all: car accidents, house fires, child molesters, drowning, guns, carbon monoxide poisoning; you name it. If it’s a danger in our society, I’ve spent at least one sleepless night stressing out about it. Probably more than one. I’m an anxious person. The mosquito thing, though, is different, because it seems so random, and nobody pays any attention to my warnings! Try to find a kid anywhere in New England in July or August who doesn’t have at least one bug bite. And try to find a community or county that hasn’t seen cases of EEE and/or West Nile in recent years, and maybe you’ll start to understand at least the basis of my fears. Yes, I know the numbers are ridiculously low, but there have been a handful deaths (mainly from EEE) in the last decade, and the disease has no cure. If you contract it, you will either die or (at best) suffer serious complications for the rest of your life. And yet, it’s largely preventable. Use bug spray the experts say, but bug spray–even the stuff with DEET–doesn’t seem to make much difference with my kids, and they hate the smell of it anyway. Stay inside at dusk and dawn. See above sentence about how great it feels to be outdoors on beautiful summer nights. Wear long sleeves and long pants when bugs are biting. Ma! It’s 90 degrees out there. And all my friends are wearing shorts! In other words, as the kids get older and more independent, I feel powerless over these diseases. I tell them what to do to stay safe, but they ignore me. They don’t really believe a little mosquito could make them sick. So I stress. They go to overnight camps in the middle of the woods, while I pace around the house at night, imagining the worst. But during this icy winter of the Polar Vortex, one warm thought has kept me going: maybe all this cold will kill off the freaking bugs. 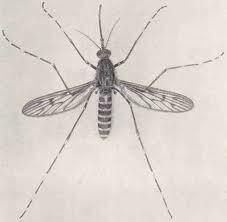 Not the good bugs–not the worms and the ladybugs and the butterflies–but the nasty, disease-ridden mosquitoes. And if that’s the case, well damn it, I’ll stop complaining right now. This entry was posted in Uncategorized and tagged anxiety, cold winter, mary rowen, mosquito, New England, polar vortex. Bookmark the permalink.